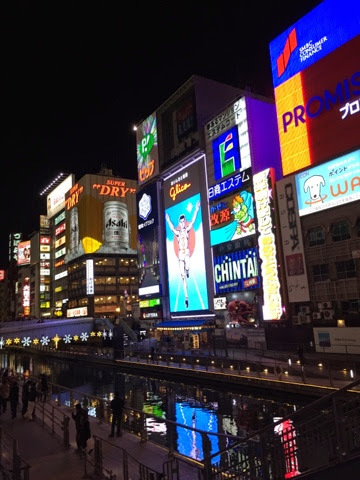 Day 9 - Isn't easy to admit that today is already the 9th day and we have two days more in Japan. We checked out from Kyoto Itoya Hotel early in the morning around 10am and made our way to Yojiya main store near Takashimaya. 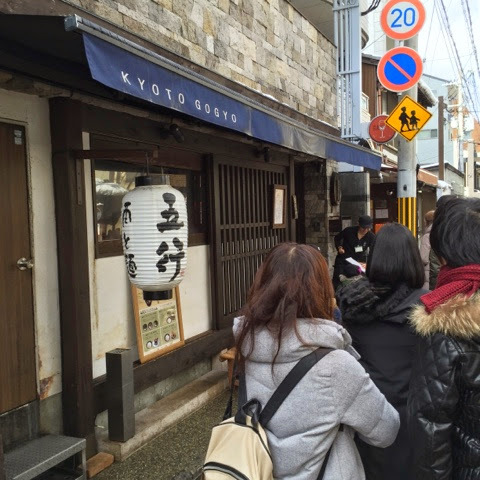 Address is Shinkyogoku Kayukoji, a 5 min walk from Kawaramachi station. 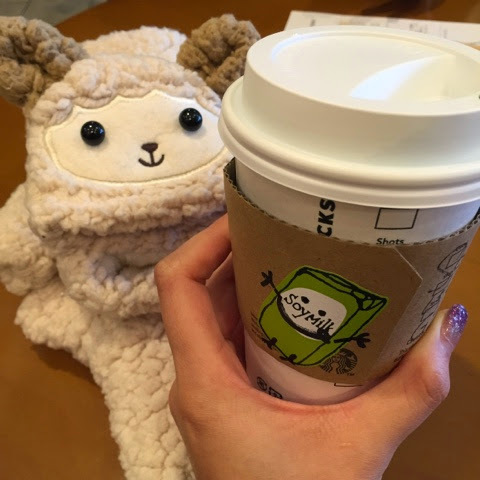 Since we had to wait, we went to Starbucks for my favorite Matcha Soy Latte. 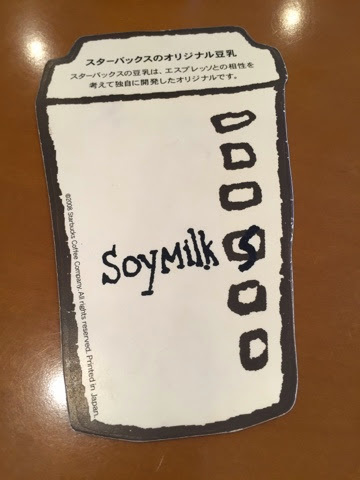 They have a special coupon to claim your drink. Check this out! I was elated. Had this drink almost everytime we walk past a Starbucks because it is really thick matcha and I like the soy milk they use to mix the drink together. A warm comfort food for the winter. 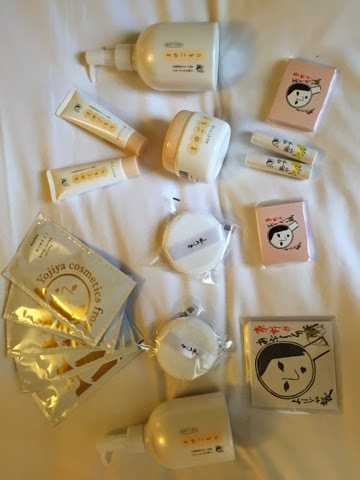 These are the things we bought from Yojiya. Since I cannot show you how the shop looks like. You can visit their website, they have it in English. If they know you are a foreigner, they will even provide you with a description catalog in various languages such as Mandarin, English and Korean. They are famous for their facial and skincare products. Their hand cream smells really good! We bought their powder paper for touch up of make up and their masks too! Their pork tsukemen was a disappointment though. The noodles were thick and cold, while the dipping sauce was oily, too salty and not hot enough too. Felt like I was eating cold ramen. Would not recommend this as it isn't their specialty anyway. Although the pork slices were juicy and tasty despite not being soaked in the broth. 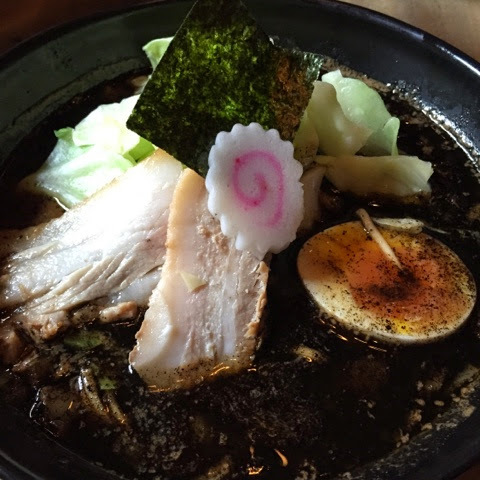 We ordered another portion of the charcoal ramen and added cabbage to it. Their cabbage are boiled in hot water quickly so it remains crunchy and a tad sweet. 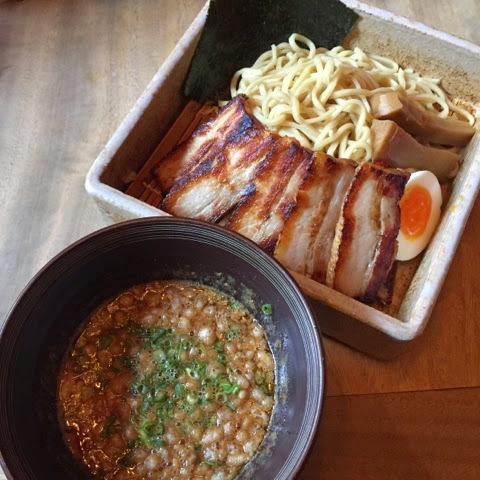 We like how hot the bowl of ramen is as compared to the tsukemen. 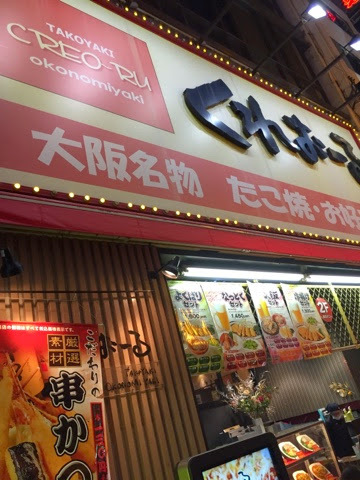 I will strongly recommend this if you are shopping around Nishiki area. 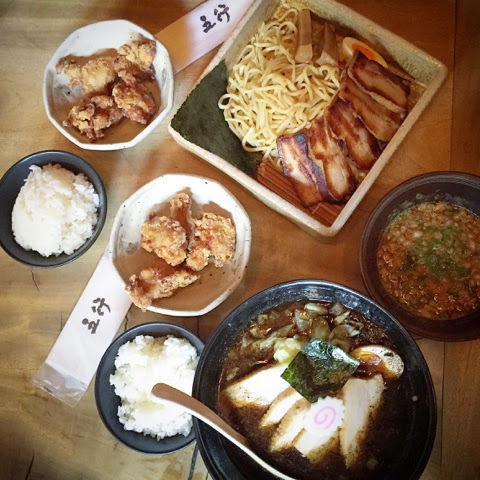 Our first order: two sets of ramen with chicken kariage and rice. Clearly not enough because we ordered another bowl of ramen. Waiters here are young and handsome, speaks good English and are quick in their service! Such a bonus and even more reason to eat here! First stop back to Osaka was to Shinsaibashi and I was craving for my okonomiyaki. 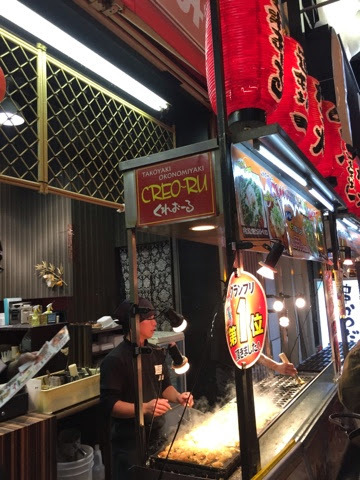 So we were at Creo-Ru famous for their Takoyaki. But we ate okonomiyaki and yaki soba instead. They are cooked prior to serving customers. But maintains its heat on the hot plate. 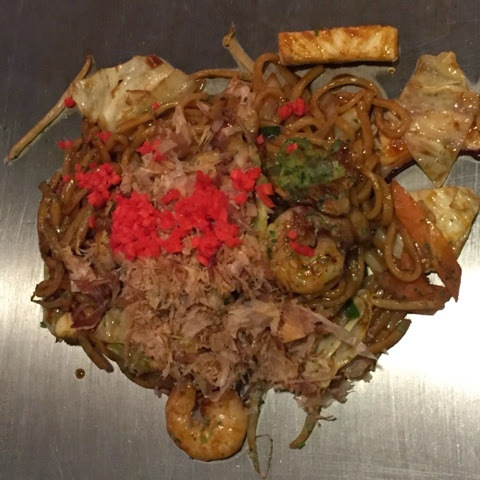 I like the seafood yaki soba which is loaded with octopus, prawn and pork belly with plenty of cabbage. A delish indeed. A pinch of red pickles are added upon your permission. Typically, bonito flakes and some parsley are also mixed in. The okonomiyaki is really tasty! It is not too thick with flour but had lots of cabbage and scallions and egg of course. 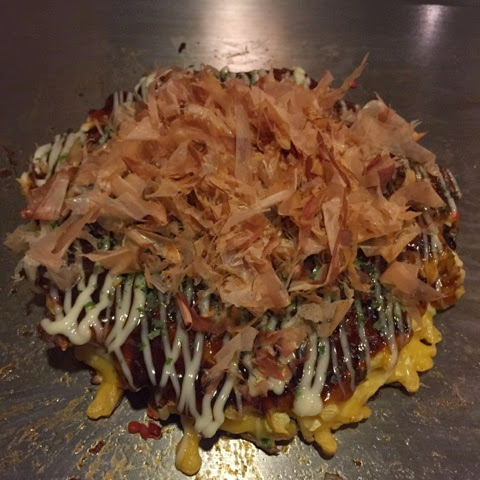 There are a lot of ginger slices in this okonomiyaki, so some people may not like it. They also serve negiyaki which is a thinner version and has lots more scallions, should have tried this because it will be less filling I hope. Dinner was at this place called Don Shop or Shabu Tei. There are a few outlets if you look at their website. They specialize in pork and beef shabu shabu served in an individual pot. They are famous for their sesame dipping sauce which is even sold for takeaway. Do make a reservation before heading down as they are quite popular.